5 minutes or 50: What's the right amount of time to work out? Time is of the essence these days or, at least, a lack of it. Studies show a busy and overworked life has become somewhat of “an aspirational status symbol.” As a result of all this busyness, the popularity of quick workouts, such as high intensity interval training (H.I.I.T.) or quick workout apps (like the Streaks workout app) offer a degree of fitness in just a little longer than a lengthy commercial break. But do they work? And could they be as effective as a more expensive or time-consuming workout? Science says yes — at first glance. A 2016 study of sedentary men over 12 weeks examined whether sprint interval training (SIT), 1-minute bursts of intense exercise within a 10-minute routine, could improve insulin sensitivity (lowering your blood sugar) and cardiometabolic health as well as a 50-minute workout. And what do you know, the benefits proved similar. Michael Joyner, M.D., an exercise researcher at the Mayo Clinic, agrees that short bursts of intense callisthenic exercise can go a long way toward getting fit. “A 5-to-10 minute workout, if done consistently, coupled with building as much cardio into your daily life by doing things like walking the dog and taking the stairs every chance you get, can all add up to get you in shape. Maybe not in enough shape to do the Iron Man, but definitely in shape,” says Joyner. 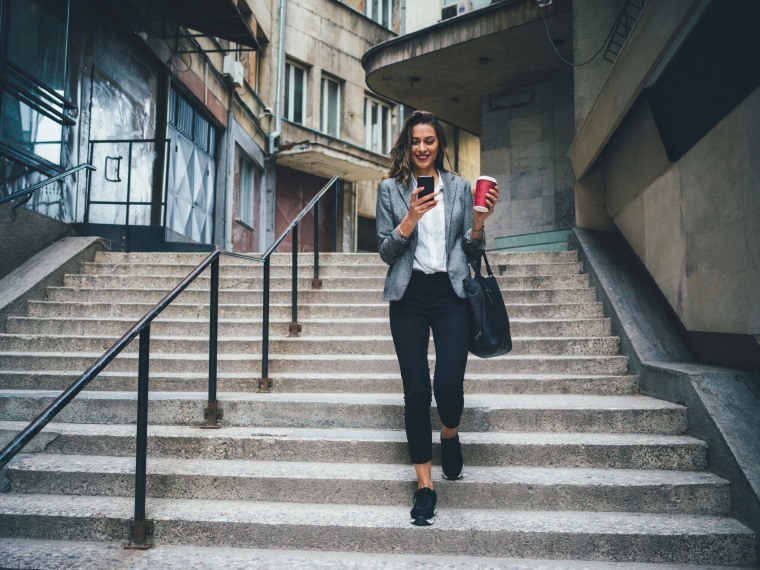 A 5-to-10 minute workout, if done consistently, coupled with building as much cardio into your daily life by doing things like walking the dog and taking the stairs every chance you get, can all add up to get you in shape. He says the simple act of contracting your muscles can help improve insulin sensitivity and improve heart function. “When your heart rate rises and blood pumps through heart vessels to your muscles, the blood flowing through vessels literally rubs against the lining of the blood vessels. This causes the cells that line the blood vessels to release substances that promote both short and long-term relaxation of the vessels and inhibits the formation of plaques. This is good for heart health and protective against high blood pressure and atherosclerosis (artery hardening),” Joyner explains. “We have found that sessions of just 2-minute duration, as long as they are moderately intense (meaning you reach at least 70 percent of your maximum heart rate) performed just once an hour throughout a workday (meaning 8, 2-minute brisk walks, for example) are beneficial for blood glucose control. This might be useful for people at work who don’t have time for a ‘real’ workout,” Gaesser says. Jeff Halevy, a health and fitness expert from New York City who runs Halevy Life, an integrated health and wellness gym, says the benefits you can glean from shorter or longer workouts all depend on your personal health and fitness goals. “If you’re working out to improve cognitive ability or mental well-being, then 20 minutes of continuous exercise is your sweet spot,” Halevy says. This review of 30 studies, exercising at a moderate pace for 20 minutes, 3 times weekly can help stave off depression and help prevent cognitive decline. “If you’re looking to improve your quality of life by improving your body’s ability to metabolize oxygen (improving brain, cardiac and lung function) and boost your metabolism, 5-10 minutes might help on days you can’t do more,” Halevy says. Similarly, Gaesser suggests “mixing things up” by alternating 30-minute workouts at a near constant intensity, 30-minutes alternating high and low intensity speeds every few minutes, and short 10-minute workouts. He also recommends a 3-to-5 minute warm-up and cool down before and after each workout.